Outer jacket is a flexible PVC available in either gray or yellow and the jacket is pressure extruded for optimal roundness. Conductors are stranded bare copper for flexibility, with color-coded PVC insulation for identification. 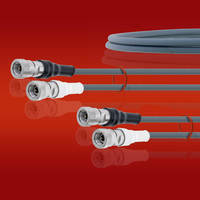 UL and CSA certified cable is ideal for both stationary and flexible industrial factory automation applications. Utilizes proprietary technology to achieve high speed, high definition HDMI signal transmission over distances of up to 328 ft. Features include improved pull strength of 100 pounds and a short term load limit of 2000N/100mm (450 pounds/4 inches). 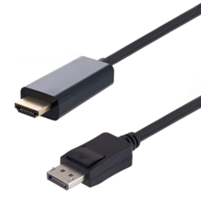 Uses four glass fibers, seven copper wires and deliver a speed of 18 Gb/sec video bandwidth. Rated for +105°C to -50°C temperature range. 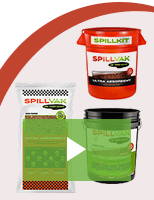 Resistant to chemicals, flame, ozone, water and ozone. Meets Underwriters Laboratories: UL-62, and National Electric Code: Articles 400 & 625 standards. Features include low-smoke-zero-halogen (LSZH) cable jackets, gold-plated contact pins that minimize signal loss and fully molded HDMI back-shell. Offers high-resolution video as well as high quality digital audio support. 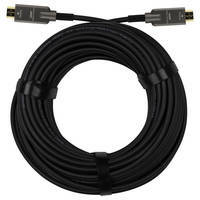 HDMI Cables with LSZH jackets are ideal for use in auditoriums, conference rooms or other professional A/V applications. 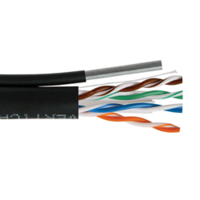 UL94V-0 flammability rating and RoHS compliant cables housed in either PVC or a TPE, halogen-free jacket material. Shielded and come in black or white 1-meter lengths with a 24, 26, 28 or 32-wire gauge. Carry nominal 20 Vdc voltage ratings, 1 to 3 A current ratings and an operating temperature range from -20 to +80°C. 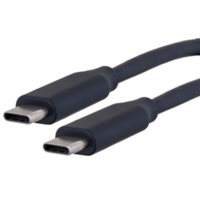 With low-smoke zero-halogen (LSZH) and PVC jacket options, these cables are designed to address a wide range of applications. Benefits include power delivery to 100W, native A/V support, video display support up to 4K and backward compatibility with existing USB 2.0 and USB 3.0 technologies. 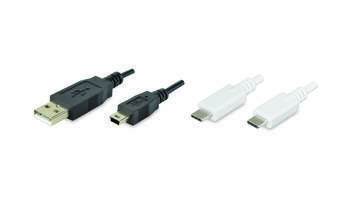 Ideal for high-speed video and data transfer applications that require high power support. 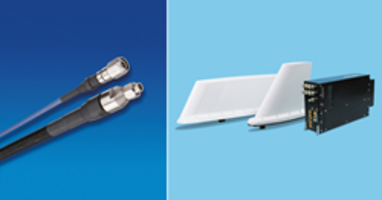 Offered in seven models in 40 and 67 GHz versions with 2.92 mm or 1.85 mm connectors and polarity indicators. Features a VSWR of 1.4:1 and 100% tested for skew match. Suitable for the development of high-data-rate digital systems. Certified to Apple's official MFI standards. Optimized for high-speed charging to iPhone. 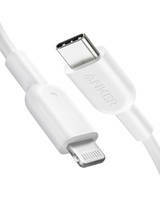 Offered with TPE shielding that lasts longer than USB cables. 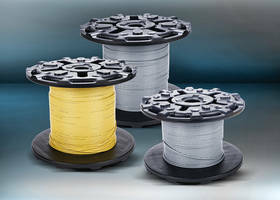 Burial cable comes with outdoor-rated jackets and solid conductors for termination into standard IDC connectors. Messenger bulk cables are available in Cat5e and Cat6 ratings in UTP and F/UTP shielded and unshielded cable types. 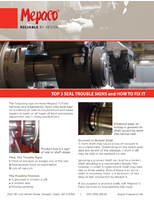 Offered in figure 8 design for maximum stability under high wind load.